The new DBS Superleggera a true thoroughbred, that marks the return of not one, but two illustrious names. 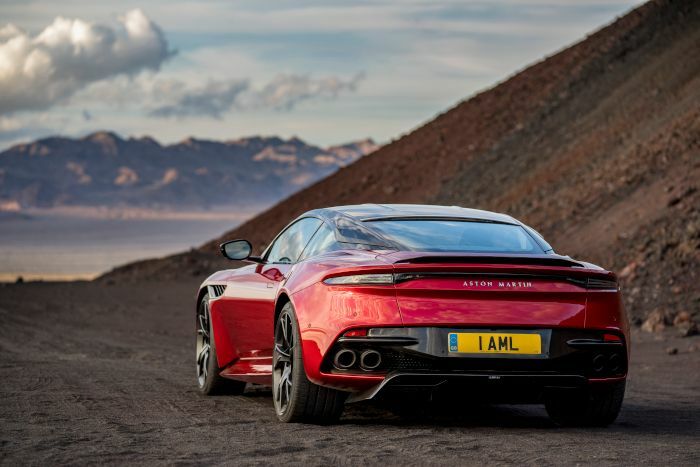 With DBS, Aston Martin is reviving an iconic nameplate that first appeared on in 1967, while Touring’s famous mark – Superleggera – will once again adorn the bonnet of an Aston Martin. A collaboration that originally paved the way to the DB4, 5 and 6 Mark 1, DBS Superleggera pays homage to the historic super lightweight construction technology of the famous Italian coachbuilder. In the new DBS Superleggera, Aston Martin has a Super GT that’s a breed apart. 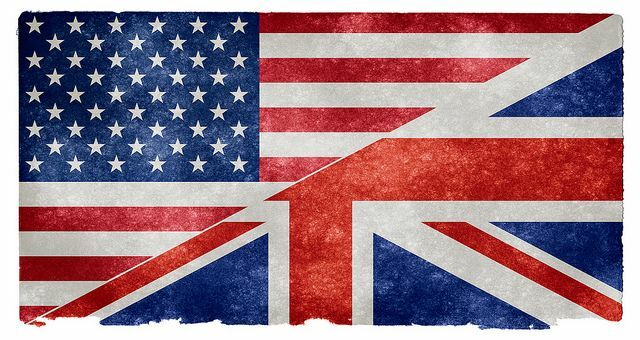 One that takes the fight to the world’s best on its own terms. The new model using immaculately sculpted carbon fibre body panels this latest model is blessed with muscular, highly individual styling. 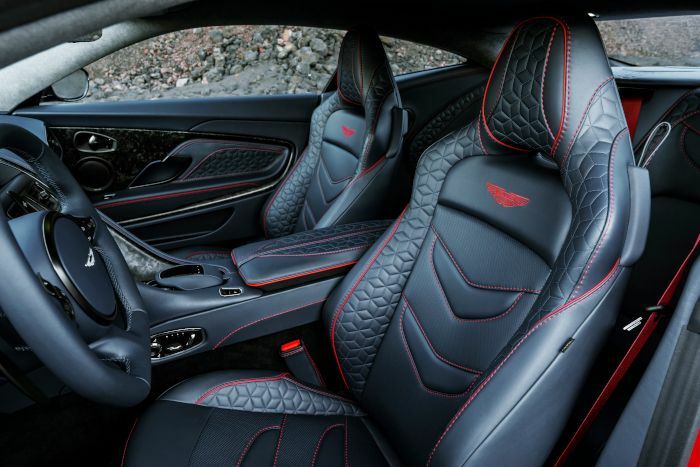 A look that’s perfectly matched by epic performance courtesy of Aston Martin’s 5.2-litre twin-turbo V12, tuned to produce tremendous power and immense torque for breath-taking response and extraordinary in-gear performance. 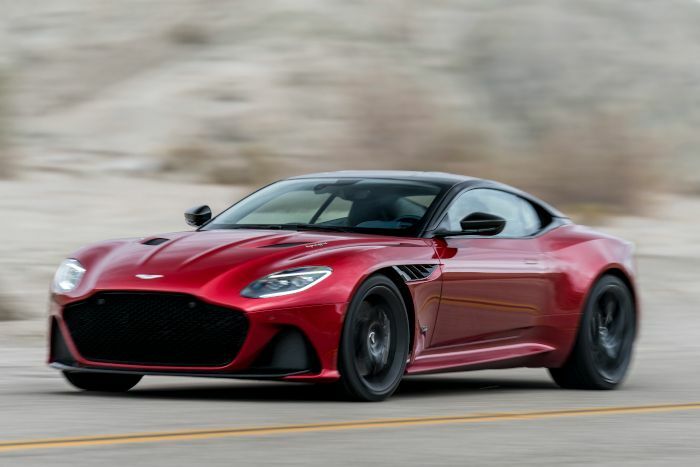 As the British marque’s magnificent new Super GT flagship, DBS Superleggera replaces the esteemed Vanquish S. The new Aston Martin model got a V12 petrol engine that produces 725 PS and 900 Nm peak torque. 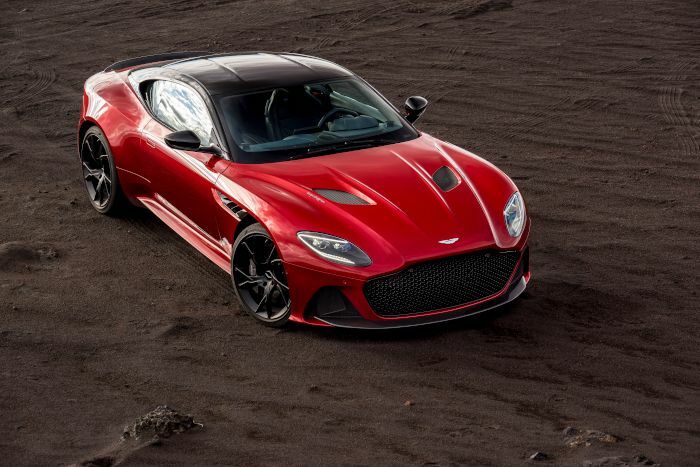 The top speed is 211 mph and blistering acceleration that dispatches 0-62mph in just 3.4 seconds and 0-100mph in 6.4 seconds, DBS Superleggera is a car dedicated to delivering an unforgettable driving experience and class-leading in-gear acceleration, with 50-100mph achieved in fourth gear in a mere 4.2 seconds. 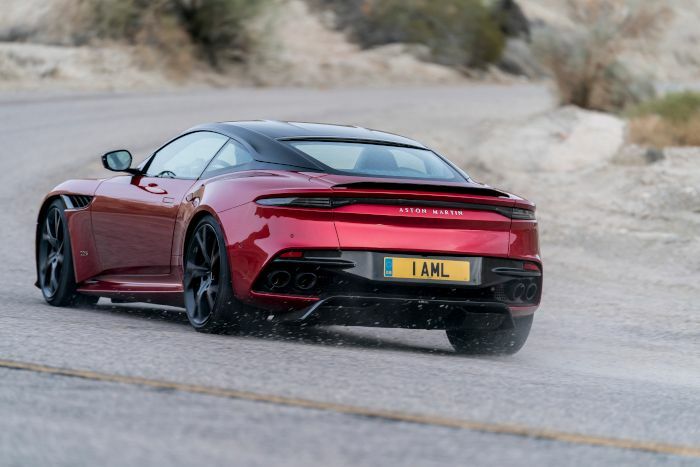 "A newer beautiful Aston Martin on the market"
Combining generous proportions with aggression and athleticism, DBS Superleggera expresses itself with an explicit design language. One that combines compelling curves with advanced aerodynamics for a sleek shape that both cheats the wind and clamps the car to the road. Evolving innovative aerodynamic concepts first seen on the DB11 – such as the curlicue and Aeroblade – and then taking things further with an F1-inspired double-diffuser, DBS Superleggera generates 180kg of downforce at VMAX: the highest figure ever for a series production Aston Martin. The new DBS Superleggera heart is a Aston Martin’s 5.2-litre twin-turbo V12 engine. Set low and and as far back in the chassis as possible to optimise the centre-of-gravity and weight distribution, this high-performance engine develops 725PS at 6500rpm and 900Nm from 1800-5000rpm. 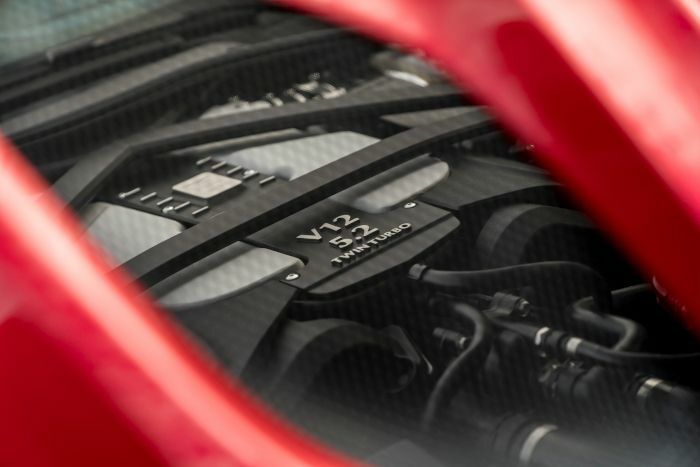 Detailed tuning of the V12 together with a new exhaust strategy with active valves and quad tail pipes ensures DBS Superleggera has a commanding and powerful sound character, particularly in the more aggressive dynamic modes, while retaining a level of refinement and civility that compliments its role as the consummate Super GT. The DBS Superleggera deploys its prodigious power and torque to the rear wheels via a new rear-mounted ZF eight-speed automatic transmission. Featuring a mechanical limited-slip differential and torque vectoring for precise, predictable and exploitable handling and a lower final drive for explosive in-gear acceleration, DBS Superleggera combines the responses of a supercar with the refinement of a GT, with the capability of a maximum speed of 211mph. 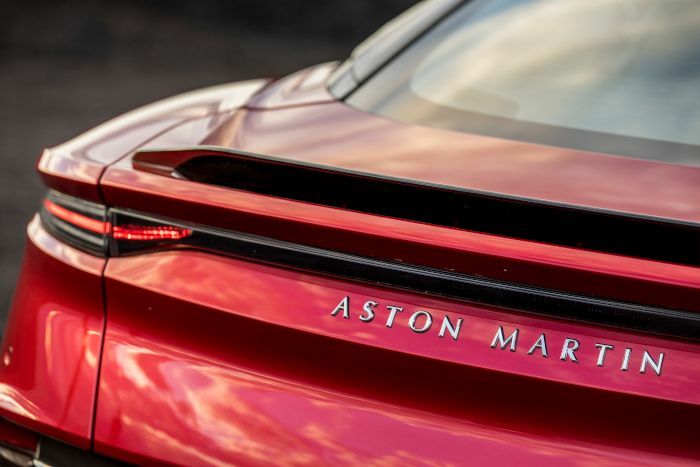 The chassis is an evolution of the latest generation lightweight bonded aluminium structure first seen on the DB11, with forged double wishbones at the front and a sophisticated multi-link system at the rear. Latest generation adaptive damping is fitted as standard, with sensors detecting the prevailing driving conditions, as well as the demands the driver is making of the car. Both the powertrain and chassis have a choice of three dynamic modes – GT, Sport and Sport Plus – which can be selected by the driver to intensify or relax DBS Superleggera’s responses according to the needs of the driver. 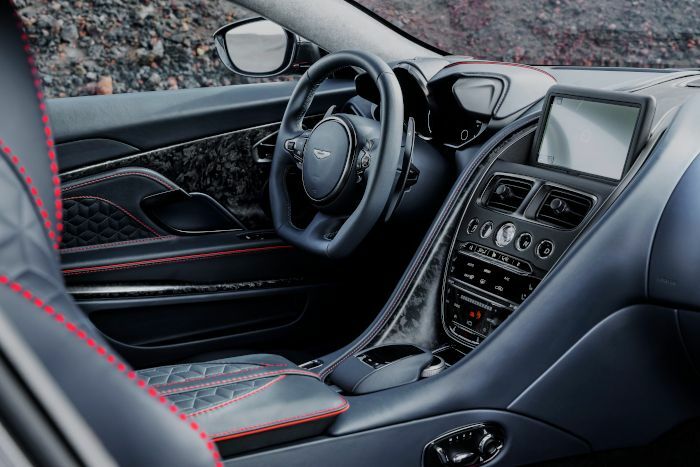 DBS Superleggera features a generous level of standard equipment, including keyless entry, tyre pressure monitoring system and a 360-degree camera with Parking Distance Display and Park Assist. The audio system has DAB plus Bluetooth audio and phone streaming, iPod, iPhone and USB playback. There is also an integrated satellite navigation system and wi-fi hub. All the in-car infotainment systems use a central LCD screen, controlled via a central dial. 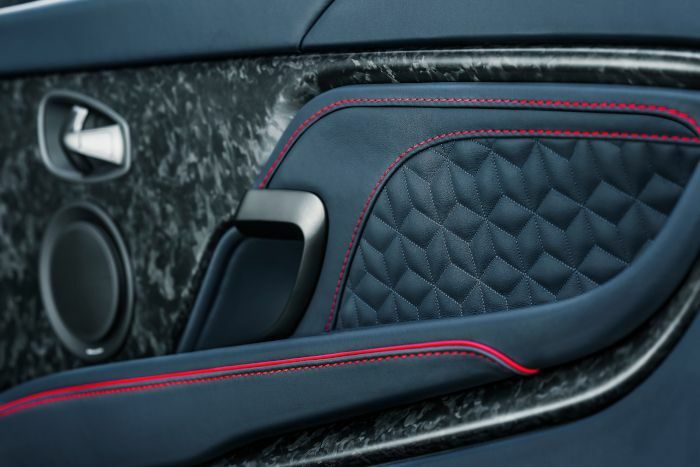 As befits its flagship status, DBS Superleggera features a high level of craftsmanship with extensive scope for personalisation via a generous choice of options. 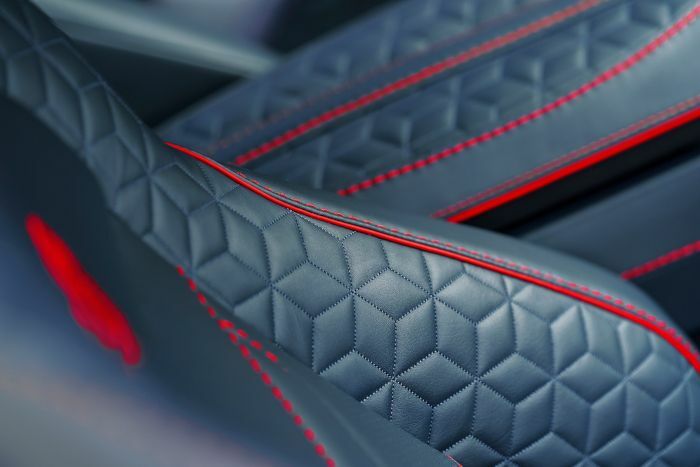 Supple, aromatic leather and Alcantara upholstery comes as standard, as do the Sports Plus performance seats and steering wheel. There is a choice of two alloy wheel designs: the standard ‘Y’ Spoke Forged Wheel and the Lightweight Twin Spoke Forged wheel. Both are 21” in diameter and fitted with Pirelli tyres developed specifically for DBS Superleggera. 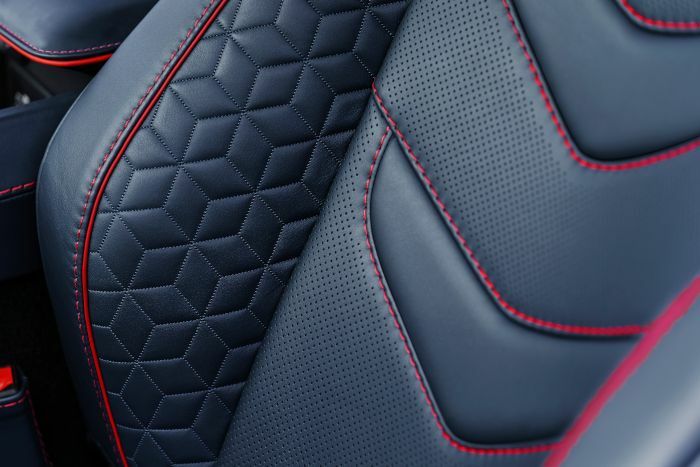 There is also a choice of striking Designer Specifications, with specially chosen colour and trim combinations selected by the Aston Martin Design Team to accentuate certain aspects of DBS Superleggera’s character. 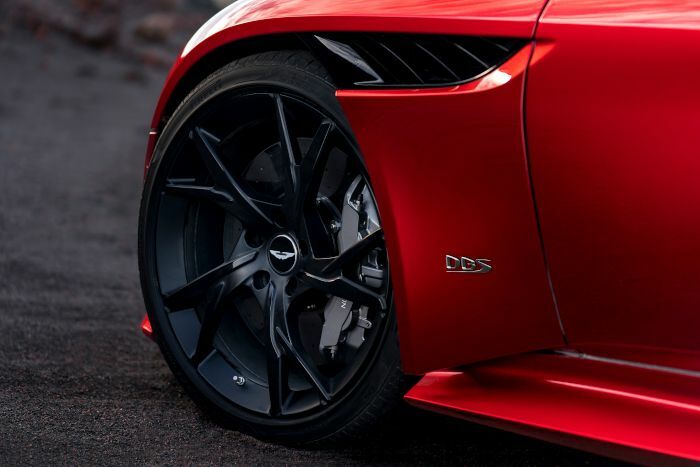 Aston Martin President & Chief Executive Officer, Dr Andy Palmer said: “DBS Superleggera not only marks the return of a great Aston Martin name, but signals our return to the very pinnacle of the Super GT sector. Handsome beyond measure, its lightweight carbon composite and aluminium body is sculpted into a shape with tremendous presence and charisma. Thanks to the remarkable torque available from its twin-turbo V12, DBS Superleggera also packs a breath-taking punch, yet its dynamics have been carefully honed to engage drivers of all ability levels. Immaculately styled, obsessively engineered and outrageously potent, the new DBS Superleggera is every inch the Aston Martin flagship”. Priced from £225,000 in the UK, EUR 274,995 in Germany and $304,995 in the USA, deliveries of DBS Superleggera are scheduled to begin in Q3 2018.